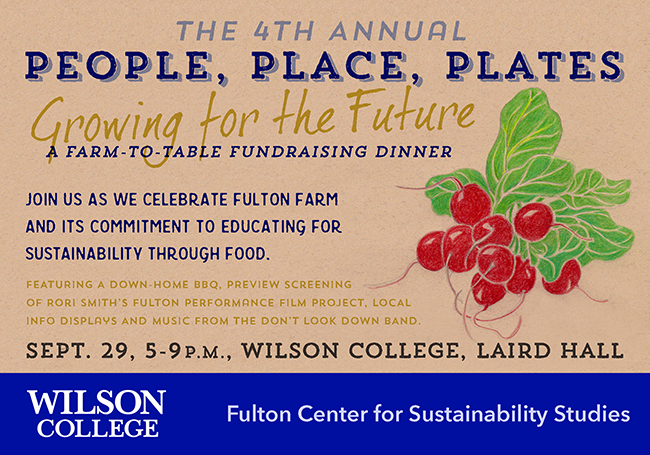 Join us as we celebrate Fulton Farm and its commitment to educating for sustainability through food. Thank you to our sponsors. Cultivation Sponsor: Noelker and Hull Other sponsors: 393 Event Center, The Butcher Shoppe, The Cheese Haus, Falafel Shack, The Inn at Ragged Edge, Kuhn Orchards, McCleary Oil Company, Mercersberg Academy, Snavely's Garden Corner, SunnyHill Properties and Wild for Salmon.